Haifa is a Ph.D. candidate in Molecular Biosciences department at The University of Kansas. She is working in Dr. Robert Ward lab. Her research focuses on investigating the molecular mechanisms underlying the importance of occluding junction proteins in regulating tissue formation and development. 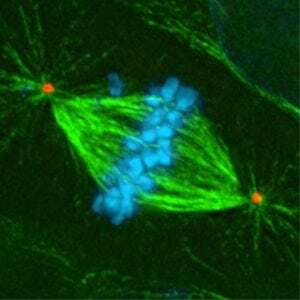 She is using the fruit fly, Drosophila melanogaster, as a model organism to underpin the question of how proteins that function in holding cells together and maintain tissue integrity regulate complex processes such as body plan and structure. 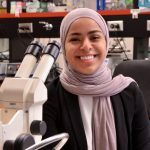 Haifa is an enthusiastic young scientist who graduated with a Bachelor's degree in Zoology from College of Sciences, Dammam University in Saudi Arabia. Then, she was awarded King Abdullah Scholarship to pursue her graduate study in the United States, where she got her Master's degree in Molecular, Cellular and Developmental Biology from department of Molecular Biosciences at The University of Kansas.